It was great to catch up with so many parents at the learning reviews this week. I hope you felt they were useful and that the reports reflect the progress that your child has made since December. In class this week we have been using a technique called Slow Writing to compose exciting and ambitious sentences to improve our writing skills. The vocabulary that the children have come up with has really impressed and I believe every child felt proud enough to share their writing with the class at some point. In maths we have continued to learn about fractions. This week we have been adding and subtracting fractions and finding fractions of a number. We have been making beautiful Easter cards and creating snowy winter landscapes in Art this week. The children really do love the creative elements of the curriculum. Have a wonderful, restful and enjoyable Easter break. This was one of my favourite books to read aloud to my class last year and I have just finished reading the fourth and final book in the series so it has to be my choice for January. Also, class 4 will get the pleasure of meeting the author later this year. WLTGO tells the tale of a young boy called Elliot who finds himself dealing with a tricky situation. His mother is not well, his home is under threat and to top it all off, a shooting star crashes to earth and changes his life forever. The star is Virgo - a young Zodiac goddess on a mission. When the pair accidentally unleash the wicked death daemon Thanatos, they turn to the old Olympian gods for help. But after centuries of cushy retirement on earth, are Zeus and his crew up to the task? Class 4 will be reading this books as our countdown to Christmas. It has been written by the fantastic author of the Claude series (If you haven't read them-do) It has been written with 24 and a half chapters, perfect to build up to the big day, and follows the adventures of heroic Winston the mouse who tries to save the Christmas wishes of one little boy. Maps of the United Kingdom by Rachel Dixon and Livi Gosling. As it is non-fiction November I have decided to recommend another non-fiction book. This week I have watched the children of the class pore over classic Where's Wally books and it reminded me that some books are just there to be shared and marvelled at. This book is far more than maps of the United Kingdom. Each page is an illustrated adventure through the history, inventions, famous people and landmarks of the counties of our wonderful land. It is a book that can be read cover to cover or dipped into. I can guarantee children will love the facts and quirky curiosities on each and every page. The Pebble in My Pocket by Meredith Hooper and Chris Coady is a wonderful non-fiction book that totally compliments the work we are doing on the Stone Age. It helps children understand the history of the earth. This wonderful picture book follows the journey of a pebble from its creation 480 million years ago to the present day. It is a wonderful read to explain to young minds how long the earth has existed and answers the questions how, when and why that children always ask. As we are looking at inspirational people for the first few weeks of term I decided that this should be my recommended book for September. 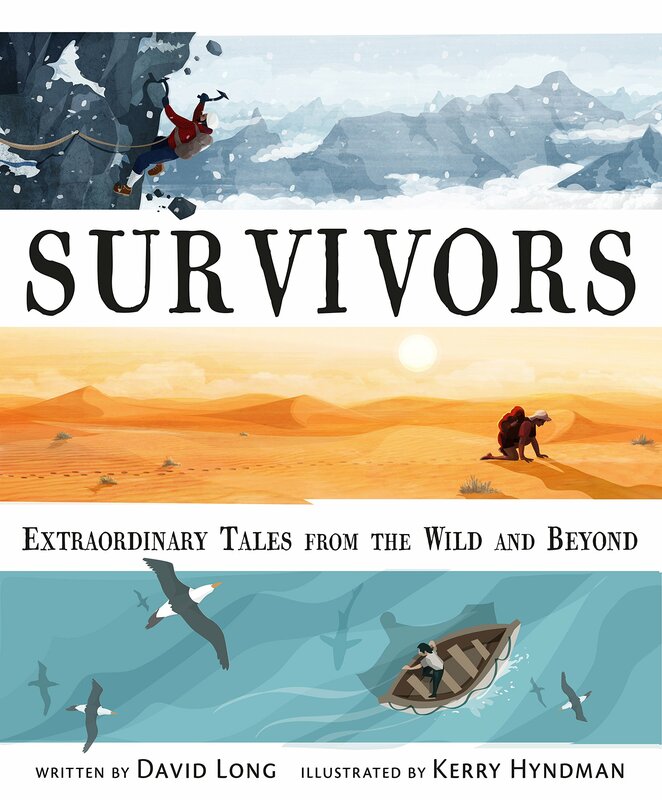 Survivors by David Long and Kerry Hyndman, is a collection of true stories about inspirational people who have survived against the odds in often the most inhospitable conditions. Their qualities include the many behaviours we are encouraging in our children at Bidborough, such as courage, curiosity, collaboration and celebration. So dive in and be inspired, I certainly was. This summer I have read so many children's books that is impossible to choose one over any other. So for my August recommendation I have chosen a book that I think will appeal to both boys and girls at the start of year 4. The Boy Who Grew Dragons by Andy Shepherd is a funny story about Tomas who discovers a dragon fruit tree when helping Grandad with some gardening. However something most unexpected hatches from the dragon fruit and Tomas finds himself a new friend. I'm a big fan of Emma Carroll and would recommend her books, Letters from the Lighthouse and Sky Chasers, to slightly older readers so I was pleased to read this book aimed at children aged 9+. Alice unexpectedly finds herself living with her estraged grandmother Nell, when her younger brother has to go into hospital for a heart transplant. Whilst staying with Nell, she discovers Darkling Wood and the magic within it and feels strangely at home. Why then, does her grandmother want to cut it down so badly? Alice meets a girl called Flo in the wood and strikes up an unusal friendship, when Flo reveals the secrets of the wood Alice realises she has to stop her grandmother from destroying it. Children who enjoy historical fiction and the element of magic will adore this book as it is brimming with emotion and atmosphere and beautifully written. Title: The Nothing to See Here Hotel written by Steven Butler and illustrated by Steve Lenton. This book was a rather different choice for me, in fact this book was extraordinary in every way. But once I had started reading, I knew exactly which members of the class would love it. The Nothing to See Here Hotel is a refuge for strange and magical creatures from Trolls to Vampires, a place for them to go to unwind from the stress of their daily lives. Frankie Bannister's parents run the hotel and one day they are told that Prince Grogbah is planning to visit. Unfortunately Prince Grogbah is not the best behaved guest and Frankie and his family really have their work cut out trying to tend to his demands whilst keeping all their other guests happy. This illustrated fiction book is perfect for those who still like pictures to accompany the text and Steve Lenton's illustrations are as captivating and engaging and Steve Butler's words. It has been difficult to choose my book of the month for April as there are so many excellent books out there to choose from at the moment. However, I have selected Song of the Dolphin Boy as it is a gripping and moving tale of a young boy called Finn, who doesn't fit in with the other children in his small Scottish fishing village. But then, one day something unexpected happens to Finn and a whole new world is revealed to him. This new world brings troubles of its own and Finn realises he must turn to the Lighthouse Crew for help, but these are the same children that have always bullied and left him out. Can he trust them with his secret? My recommended book for year four this month is The Wizards of Once by Cressida Cowell. It is a fantastic adventure story set in a strange and magical land inhabited by Wizards and Warriors. Xar is a wizard boy who has no magic and is desperate to get it. Wish is a warrior girl who owns something forbidden, something magical. This book is funny, scary and a real page turner. I would recommend it to boys and girls, it is the perfect bedtime read to share with a grown up. They will enjoy it as much as you.